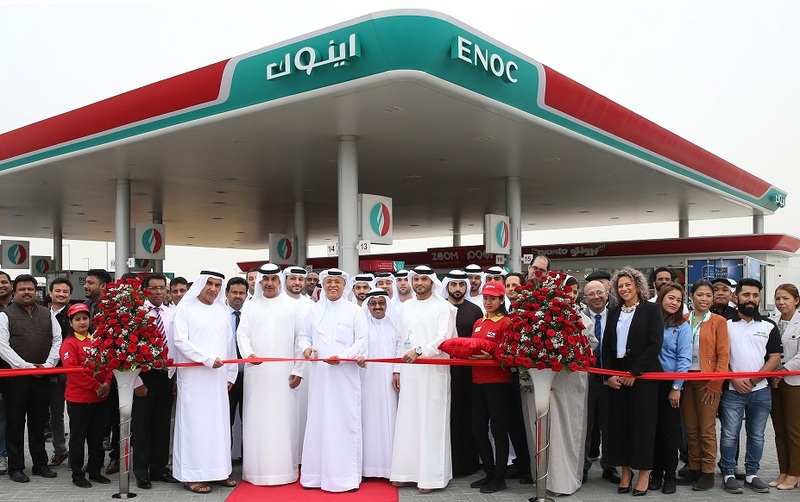 Dubai, UAE: ENOC Group recently opened a new service station at Jumeirah Village Circle. The opening supports ENOC’s commitment to its expansion plans aimed at building 54 service stations by 2020 and reinforces its sustainability initiatives in line with the Dubai 2021 Plan to become a smart and sustainable city. The new 40,000 square feet service station features six new pump dispensers that include a fuel system designed to have maximum flow rate as per National Fire Protection Association (NFPA) safety standards. Additionally, the new station includes a dedicated High Flow Diesel Dispenser to cater to trucks. To factor in the waiting time inside the service station, dispensers are built with retractable hoses to enable refuelling cars from both sides to reduce waiting period. Customers visiting the new site will also benefit from other retail facilities at the station including ZOOM convenience store, Pronto, Autopro, the first stand-alone Popeyes Chicken Drive-thru in Dubai, Drive-thru McDonalds, and Papa Johns pizza. Customers will also benefit from a variety of payment methods such as ENOC’s cashless and credit card-less VIP system and BEAM. ENOC Group (Emirates National Oil Company) is a leading integrated international oil and gas player operating across the energy sector value chain. As a wholly owned entity of the Government of Dubai, and integral to the Emirate’s success, ENOC owns and operates assets in the fields of exploration & production, supply & operations, terminals, fuel retail, aviation fuel and petroleum products for commercial & industrial use. The Group’s general business operations includes automotive services, non-fuel F&B retail and fabrication services. Servicing thousands of customers in over 60 markets, the Group employs a workforce of over 10,000 employees and is deploying its world-class customer service, latest innovations and technologies and best practices to empower the UAE’s social and economic development. Previous articleVirgin Mobile Stresses on the importance of enhancing “Customer Experience”..